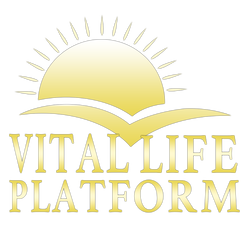 Vital Life Platform | Better Than Ever! - Vital Life Foundation Home - Better Than Ever! ​and how they can CHANGE YOUR WORLD for The BETTER! and know that you already have everything you need ~ RIGHT NOW. Live a Radiant, Vibrant, Dynamic, Abundant Lifestyle. ​in HEALTH, WEALTH, HAPPINESS, LOVE & in your RELATIONSHIPS! Learn how you can start to transform your life and Master the Art of Living through Raw Foods, Enzymes, Probiotics and enjoy Great Health, Vitality, Longevity, and Natural, Inner Strength through living the Four Principles of Life! Through essential information, high quality products, vital tools, and workshops you will experience the demonstration of living life on purpose knowing we were designed to live full of energy, radiant health, deep fulfillment and success on many areas of life: spiritually, mentally, emotionally, and physically, financially in our relationships!